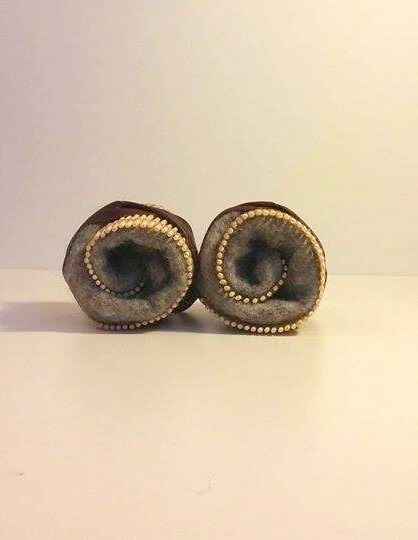 The ‘slakkenslof’ is an indoor shoe which gives comfort and stability. In the western culture, it is not so common to take off your shoes when you are in someone else’s house. Although in the eastern culture it is obvious that you take your shoes off. So I created a western indoor shoe, tp give this polite gesture to the person you are visiting. 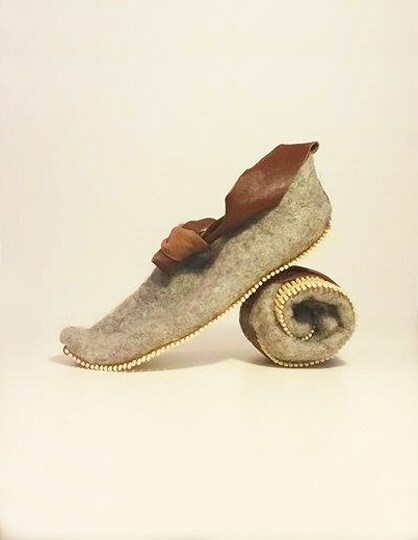 The shoe itself is made from wool, which is a good isolating material. 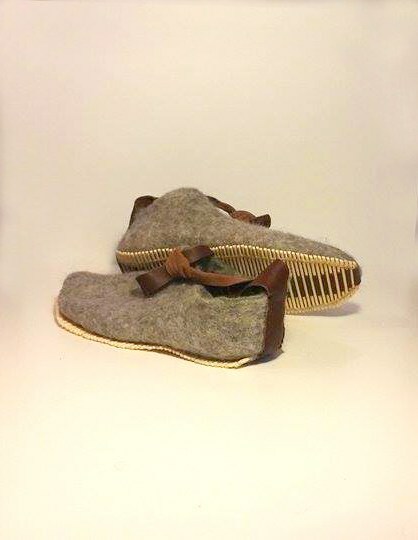 The sole is made from bamboo sticks, refering to the eastern culture. And the shoelaces are made from leather, this gives stability and strength to the shoe. I especially loved making this ‘slof’. I took several shoes apart which in my opinion was a very interesting experiment. After this I started doing research on cultural use of shoes inside the house, and I loved it. That is the reason why I came up with this comfortable indoor shoe.